Read our success story to learn how Sovos made multinational reporting simple for Sun Chemical, allowing them to consolidate their compliance efforts. 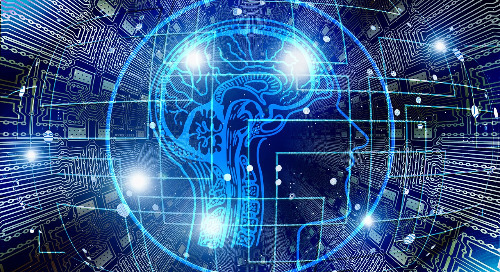 A clinic that treats traumatic brain injuries got rid of a manual filing method and streamlined its 1099 reporting with an automated solution, reducing risk and increasing efficiency in the process. 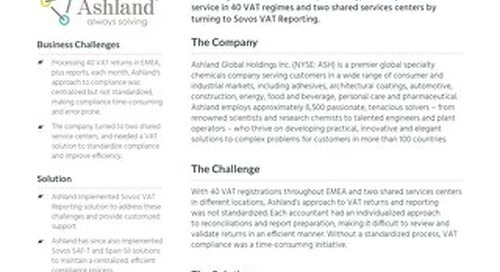 Sovos client, Ashland, uses the Sovos VAT Reporting solution to maintain a centralized and efficient compliance process. Sovos CertManager helps Bridgestone HosePower get proactive managing customer exemption certificates, estimated to reduce the time to satisfy an audit request from six weeks to one day. In 2015, a midsize energy company converted to a new ERP system with the knowledge that there might be a need for external assistance with tax information reporting. Learn how Sovos filled the gap. Discover how one of the largest banks in the US slashed B and P notices and successfully completed a major consolidation by participating in the Sovos 1099 Reporting Pilot Program. Discover how a major maker of medical devices cut the time it took to deal with 1099 forms from a week to less than a day. 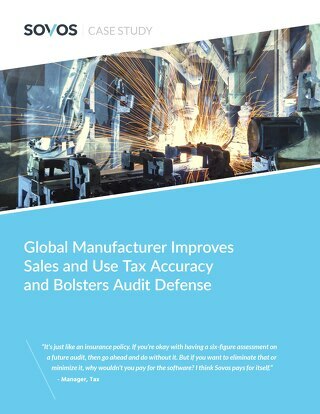 This multi-billion dollar manufacturer of advanced materials has effectively reduced sales and use tax audit risk and overall costs, while improving tax, finance and IT operational efficiency. Discover how Sovos enabled the City of Oak Creek to save money by freeing HR employees from getting bogged down in ACA reporting and enabling them to carry out other critical tasks. Discover how the manufacturer of HVAC products achieved ACA reporting compliance with a small HR team by automating processes using the Sovos ACA solution. Fortis overcomes challenges in reporting on multiple EINs and fix reporting before IRS penalties took effect. Learn why ZEDRA, a trust, corporate and fund service provider, stays compliant in all jurisdictions where its clients are based. 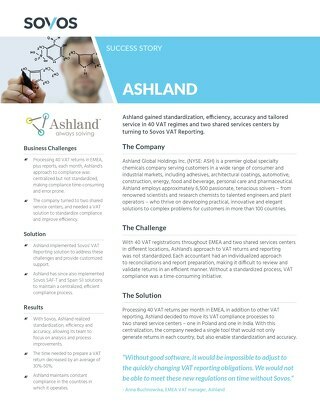 Learn why the supply chain vendor chose the Sovos ACA reporting solution rather than building a system in-house and how the company benefited from that decision. Learn how Sovos helped BodyBuilding.com ease its compliance burden, substantially increased its accuracy and allowed it to free up its tax and finance personnel to focus on more important tasks. Learn how Royal Philips utilized Sovos' solutions to achieve an 80% cost savings and 25% improvement in productivity.